For a friends recent baby shower, I wanted to give a gift that was personal and would hopefully inspire their future child. 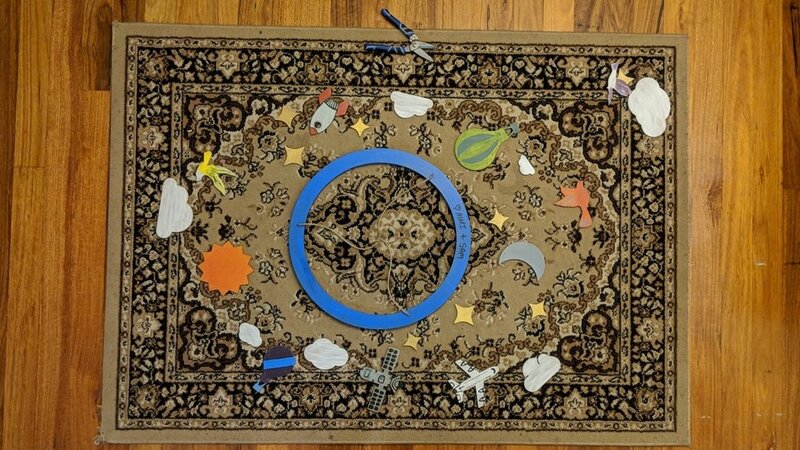 With this in mind, I decided to make a baby mobile featuring things found in the sky. 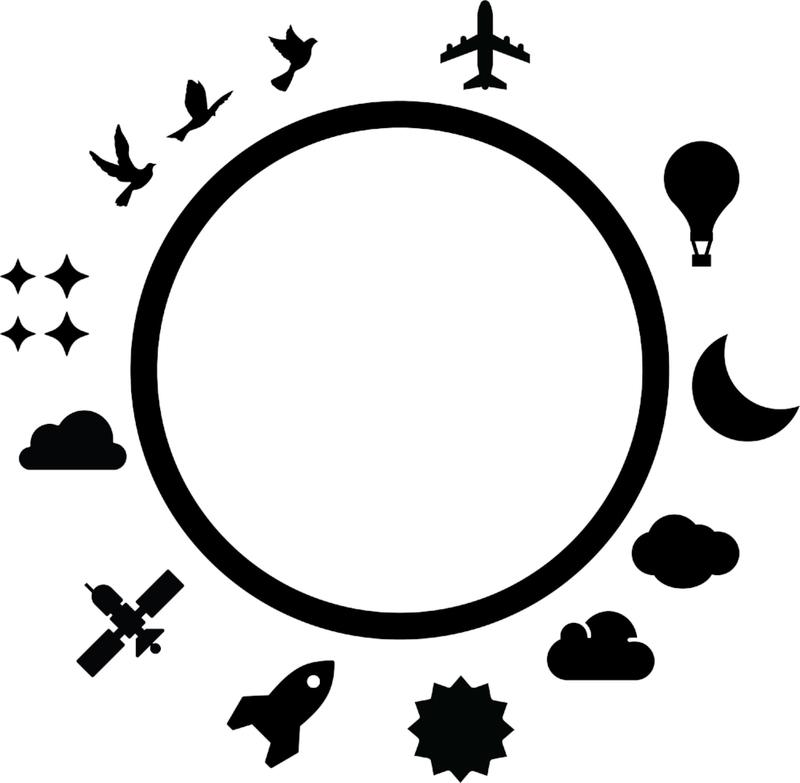 I included animals, celestial bodies, man-made objects, and nature. Below is the arrangement of the various shapes distributed around the central hoop which was 600mm in diameter. 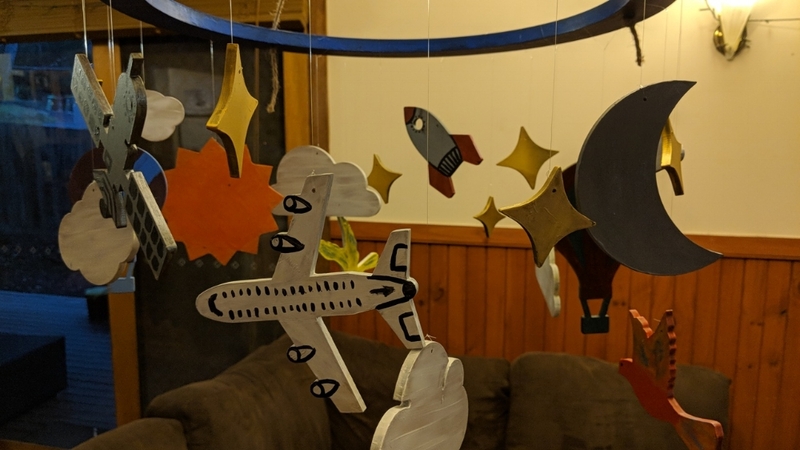 The baby mobile was made from a series of simple laser-cut silhouettes that I hand painted with acrylic paint. Below is the list of materials I used although it’s easy to improvise with what materials are on hand. Hand painting the pieces required a sealant first to prevent the MDF from absorbing liquid and swelling. The painting process had to be carried out intermittently over a few days so opposing sides could dry. Individual pieces are laid out to gauge approximate hanging distances. 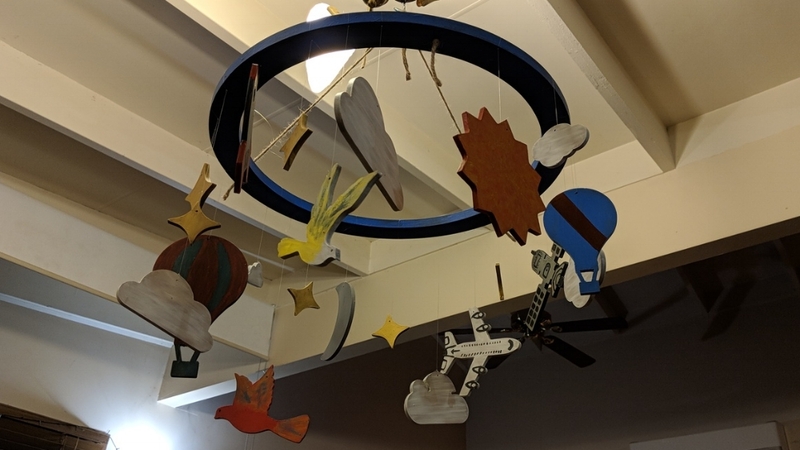 The original intent was for the peices to hang relative to each other where they would typically be in the sky, with birds and balloons lowest and celestial objects further up. Unfortunately, I cut my pieces too large to have a discernable hierarchy. The baby mobile pieces were tied to the hoop using clear fishing wire. The final mobile has an almost cartoonish look due to my (lack of) painting skills. I'm confident that the cute aesthetic and bold colours will be appealing to a child. You can download the vector files for making your own baby mobile from the link below in .AI, .EPS and .SVG. 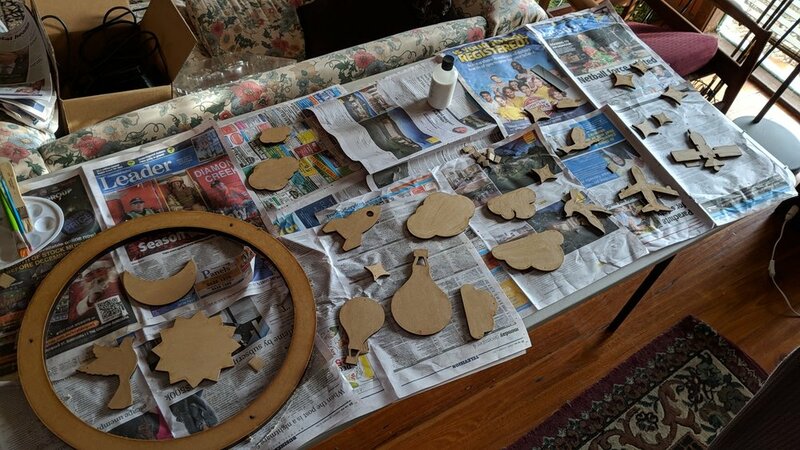 Based on my experience I would recommend making everything smaller overall and using spray paint for the main body colours for a faster and smoother base coat.